I love Trader Joes! I especially love their grated raw cauliflower. It is about time someone created already grated cauliflower for us to purchase! It is so convenient and I don't have to worry about cleaning up my food processor and the mess surrounding my food processor :) For some reason, I always tend to get bits and pieces of cauliflower on the counter, the floor, and in my hair (don't know how that happens). Already grated cauliflower just makes my life so much easier! Not only do I love using it in place of rice, but I also use it to make my cauliflower pizza crusts. If you haven't tried the cauliflower pizza crusts yet, then you don't know what you are missing! You can get that recipe HERE. How do I cook the raw cauliflower? I just throw it in the microwave. It is the easiest and fastest way to cook cauliflower. Add 1 tsp of water to help steam the cauliflower and make sure you cover the microwave safe container with a pieces of clear film or lid. I usually cook it for about 1 1/2 minutes but it depends on how much cauliflower you have in the container. A whole head of cauliflower could take about 3 minutes.You could also saute the cauliflower with a tsp of oil (1 Healthy Fat) if you have an extra Healthy Fat to spare on the stove top. When sauteing cauliflower, I love using the flavored oils such as Luscious Lemon, Valencia Orange or Roasted Garlic from Stacey Hawkins. This is a great way to add some flavor to plain cauliflower rice. You can purchase her products HERE. She has a great collection of seasonings, oils, etc on her site! 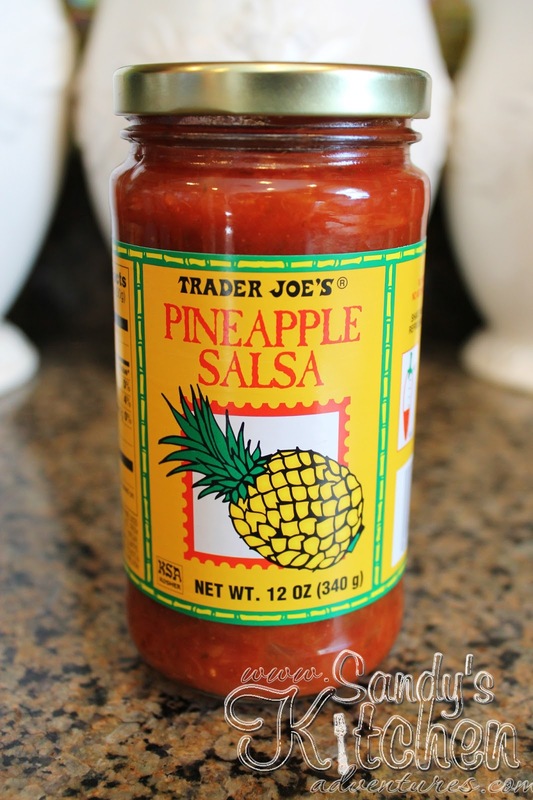 Another product I love from Trader Joes is their pineapple salsa. It is delicious! The addition of pineapple in the zesty salsa adds a little bit of sweetness and medium heat. It works perfectly with this Pineapple Salsa Chicken! 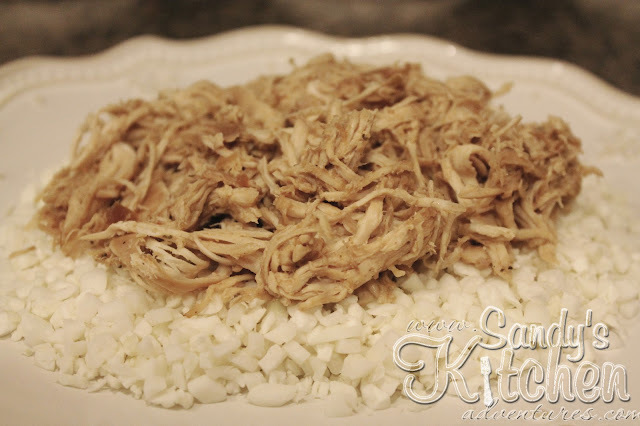 I absolutely love crock pot meals since some days I just don't have time to cook. 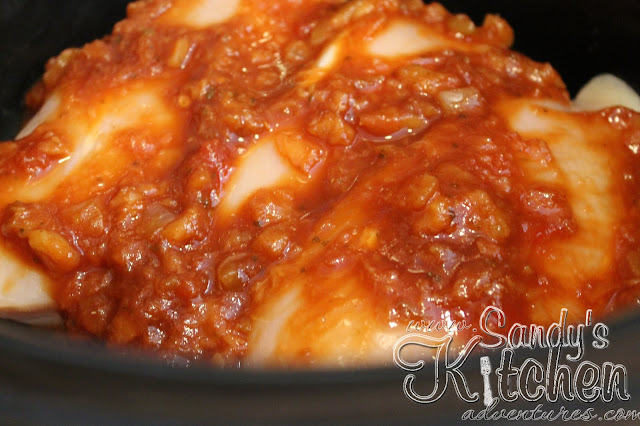 You just throw everything together in the crock pot and dinner is ready a few hours later. Gotta love it! 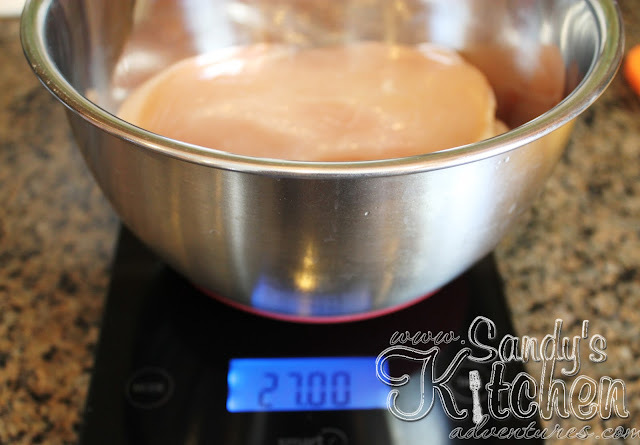 Measure out 27 oz of raw chicken breasts and place it in the crock pot. Add 1/2 cup of pineapple salsa, 1 tbsp of soy sauce and 1/4 cup of chicken broth to a small bowl. Mix it all up. Pour the mixture over the raw chicken breasts. Cook on LOW for about 4 to 6 hours. I cooked it for 5 hours. Shred the chicken and serve it our cauliflower rice. Easy and delicious! Enjoy! Add chicken breasts, salsa, soy sauce and chicken broth to a crock pot. Cook on LOW 4 to 6 hours. 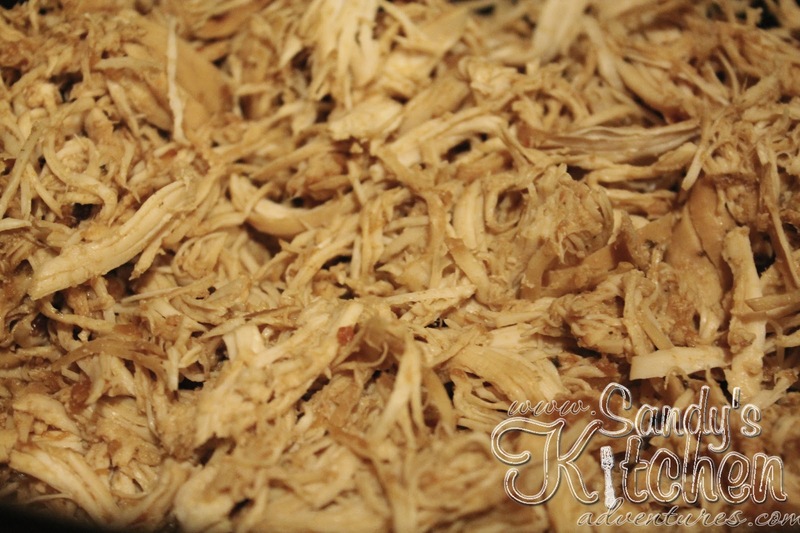 Shred chicken when cooked. or any approved Greens of your choice. 1 Healthy Fat is still needed. Some great options are 1 1/2 oz of avocado, 2 tbsp of guacamole, or 2 tbsp of sour cream.